Find out what's new from our range of Kyocera printers and copiers. Call one of our experts today. Whatever your office requirements are, we have a Kyocera multifunction printer or photocopier model to meet your needs and budget. Smart devices and wi-fi networking mean it’s easier to connect, produce and share your work through multiple applications. Our expert technicians are experienced in Kyocera printer repairs. A customised service agreement covers maintenance, toner refills and repairs. Whether you rent or buy a Kyocera laser printer from Copysonic, all parts, repairs and labour are guaranteed. Extended warranties are also available for purchase. Our Kyocera range of new printers and copiers can be purchased outright, or we have finance options available. Enjoy the convenience of cloud sharing technology through multiple devices in your office. 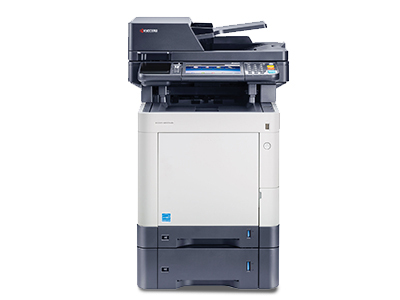 You can also rent Kyocera models as a flexible alternative for short-term use. Our technicians refurbish all our used Kyocera printers and copiers. We guarantee all ex-demo and used Kyocera laser printers and copiers so you can purchase with confidence. Our warranty offer and extended warranty options will give you further peace of mind. For over 25 years, we've maintained Kyocera printers and photocopiers for Melbourne offices. We access your business needs and budget before offering a competitive payment plan. When there is no time for downtime, our technicians can be on site the same day for servicing and repairs. An optional Copysonic service agreement ensures your repairs, servicing and refills are always taken care of. Copysonic technicians are skilled in repairs and maintenance and know the brands and models we supply. Our Kyocera experts will discuss your needs by phone and can arrange to come out on site if you prefer. We will provide you with a few Kyocera printer or copier options to suit your business requirements and budget. Once you have decided which print and copy solution is best for you, we can arrange a payment and servicing plan. Our friendly and reliable technicians will arrange the delivery and installation at your preferred time. Our technician will take you through the basic operations and functions so you can enjoy seamless printing and copying. Can I purchase a new or used Kyocera photocopier from Copysonic? 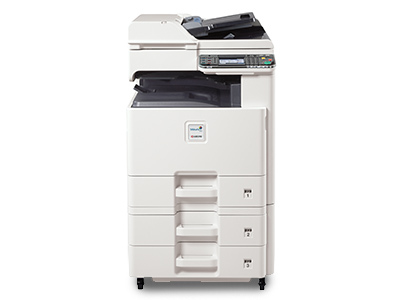 We supply and install new, used and ex-demo Kyocera printers and copiers. Can you repair and service all Kyocera photocopiers and printers? Yes, we can. Our team of technicians are knowledgeable in a broad range of printer and copier brands and models, including Kyocera. They can access replacement parts to get your printer or copier operational again quickly. What type of warranties are available for Kyocera copiers and printers? Copysonic offers a 90-day or 10,000 print warranty with any purchase of a Kyocera model. You can choose to claim either of these warranties depending on your business usage. Extended warranties beyond this are available for sale. Can you set up my Kyocera photocopier for networking capabilities? Our technicians connect your Kyocera photocopier or printer to the office network and ensure it’s fully operational when they install it.